Susan Bordo is Singletary Chair in the Humanities and Professor of English and Women's Studies at the University of Kentucky. 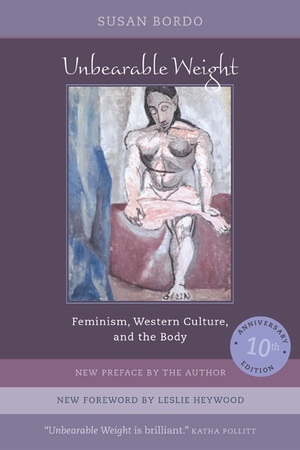 She is the author of The Male Body: A New Look at Men in Public and in Private (1999), and Twilight Zones: The Hidden Life of Cultural Images from Plato to O.J. (California, 1997).